Following the ball-tampering scandal that has rocked the cricket world, Cricket Australia today announced its sanctions on all players not involved with the plot to cheat in the third test against South Africa in Cape Town over the weekend. The national cricket body has taken severe disciplinary action against the entire playing eleven from that test, with the exception of captain Steve Smith, David Warner, and Cameron Bancroft, who have been cleared of any right-doing. 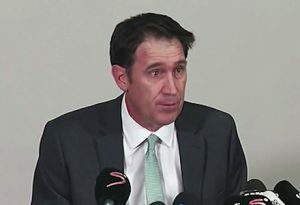 All players who were not involved with the plot to bring sandpaper onto the field in an attempt to gain an illegal advantage, have been issued with one year bans from the sport, with the exception of fast bowlers Mitchell Starc and Josh Hazlewood, who did not explicitly endorse the plan, but, “to their credit as Australian sportsmen” did not explicitly reject it, either. They have been issued with six month bans. Before these players will be considered again for national selection by Australia, they must complete up to 100 hours of cheating in Australian grade or state cricket. Coach Darren Lehmann, who retains his job despite suspicions he was not involved in the plot, says Australia won’t be fielding a full eleven players against South Africa on Friday, but won’t need to, as they will be cheating.